In recognition of the International Day of Sport for Development and Peace (IDSDP), 6 April 2015, Grassroot Soccer, the South African Football Association (SAFA) and the SAFA Development Agency announced a new partnership. The mission of the SAFA Development Agency is to support high impact, proven youth development interventions and talent hubs, through partnership with local schools, clubs and NGOs to use football as a platform for coaching, training, life skills and mentoring. Youth from Khayelitsha enjoy the Coaches' festival at the conclusion of the training. 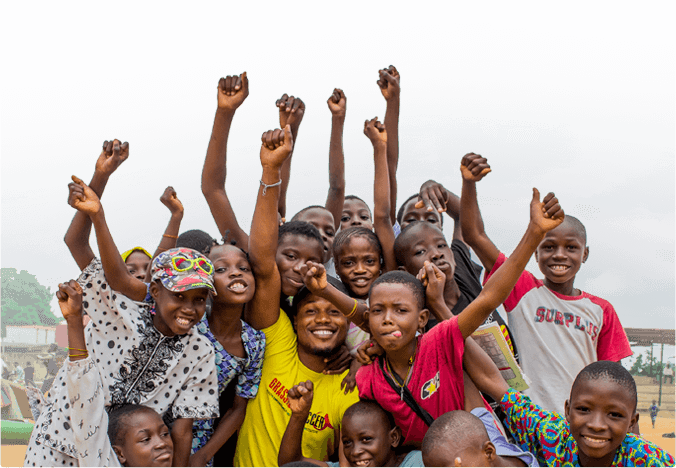 As a leader in the Sport for Development field, Grassroot Soccer uses the power of soccer to educate, inspire and mobilise youth to stop the spread of HIV. The Grassroot Soccer Coach Development program grooms young leaders to become role models and leaders in their communities. Grassroot Soccer South Africa is proud to participate in the SAFA Development Agency’s new FOOTBALL+PLUS Safe-Hub initiative. In March 2015, Grassroot Soccer launched a Coach Education Program for 60 life skills educators in the Western Cape and Gauteng. 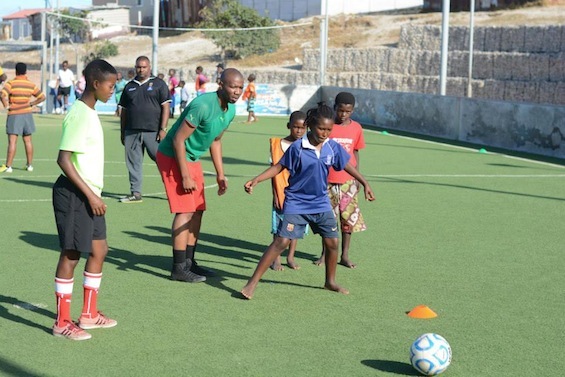 The program is part of a larger partnership between the SAFA Development Agency and civil society groups working towards soccer and social development. Coach Anathi directs training drills for youth. To launch this partnership, a total of 60 Grassroot Soccer Coaches from Khayelitsha, Alexandra and Soweto trained for SAFA Introductory Coaching Course D Licenses. 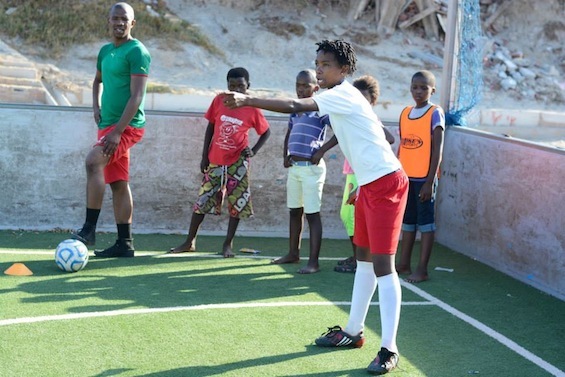 From 24 – 28 March, 25 Coaches in Khayelitsha successfully received their D License, and to mark the International Day of Sport for Development and Peace, 35 Coaches from Alexandra and Soweto joined together to train at the Alexandra Football for Hope Centre from 6 – 10 April. 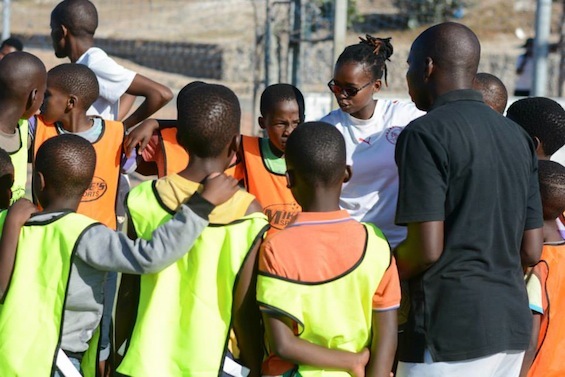 To qualify for the SAFA D License, Coaches undertake a weeklong intensive training course covering coaching, life- skills, sports science and player development, culminating in a festival for 150 youth ages 6-12. Coach Sony talks with youth during a life-skills exercise.